Alarm.com has a wide range of cameras that can utilize Power over Ethernet. By capitalizing on this feature, installation time and wiring requirements can be minimized. An ethernet connection also provides a more robust upload and download pipeline than a WIFI connection is capable of. *The ADC-V700X is no longer manufactured. Items without a link are not yet sold by Alarm Grid, but do support the PoE feature. Because Power over Ethernet allows both power and data to travel over a single ethernet cable, not every network device will support this option. When connected to a router or switch that is enabled for PoE, the only requirement is that a proper ethernet cable be connected both at the camera and at the network device. But if the router or switch is not capable of supporting PoE, then another piece of equipment will also be needed. PoE injectors are used to "inject" power onto an ethernet cable that would not ordinarily be carrying power. Alarm Grid offers one of these devices called the ADC-POE-INJ. This device can be installed anywhere between the router or switch and the camera that is being used. You can plug it in wherever it is most convenient. The ADC-POE-INJ has an AC plug that will be connected to a standard wall outlet. The ethernet wire from the router or switch will then be plugged into the incoming RJ45 port on the injector. Another ethernet cable will be run from the outgoing RJ45 port on the injector. This cable now carries both data and 12 Volts DC power to the camera on a single Ethernet wire. All Alarm.com cameras that support PoE meet the standard (IEEE 802.3af) for devices being powered in this way. As long as the power source used also meets this standard, and the Ethernet cable used meets the TIA/EIA-568 standard, then the maximum distance for wiring is 100 meters (328 feet). Some devices available may not meet this standard. Such devices include Passive PoE and some PoE splitters. In the case of cabling, CCA (copper clad aluminum) Ethernet cables also do not meet this standard. Power to the camera can also be supplied by an AC adapter. When this option is used, power and ethernet are separated. In other words, that is not actually PoE. 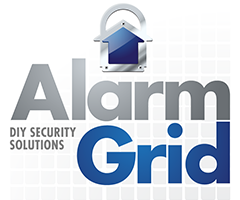 Alarm Grid offers the Alarm.com ADC-VACC-PWR-VC101. This power adapter can be used for many different Alarm.com cameras, including the ADC-VC725, ADC-VC825, ADC-VC726, ADC-VC826, ADC-VC736, and ADC-VC836. Finally, a PoE to WIFI bridge can be used. Alarm.com offers the ADC-W100. This device plugs into an AC outlet that is within range of the area's 2.4 GHz WIFI network (5G WIFI is not supported). By using its built-in web interface, the end user logs into the ADC-W100 and joins it with the WIFI network. An Ethernet cable is then run from the camera to the ADC-W100, which has an RJ45 port marked "Camera". The camera will then receive power and data through the Ethernet cable. The ADC-W100 then conveys data through the WIFI network camera's behalf.